In 1962 Tang had a mail-in promotion where you received a set of team photos of NFL teams. 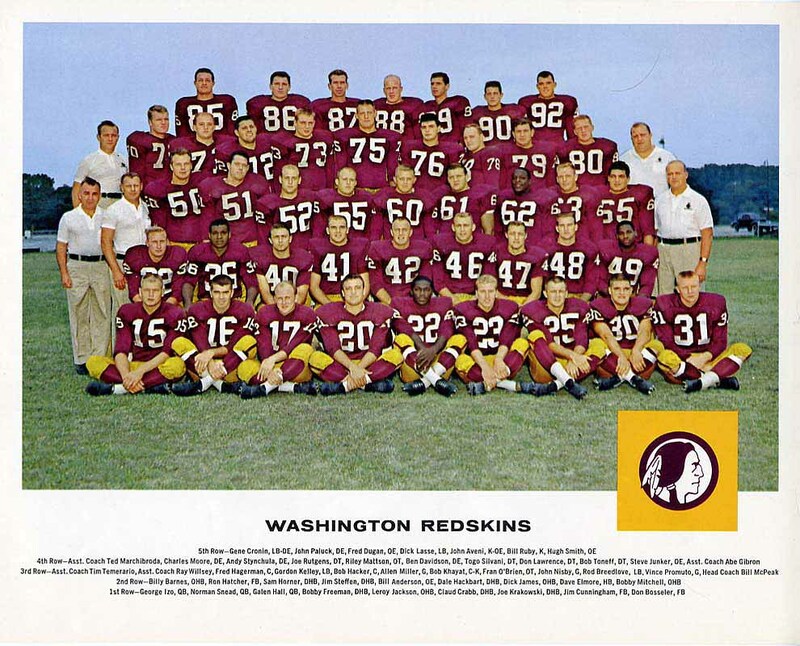 The 1962 Tang team photo of the Washington Redskins is shown below. Interestingly, Tang did not include their name or their logo on the picture.